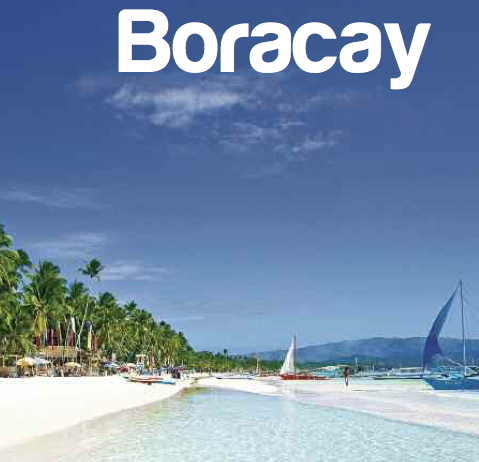 The Philippines is a country of 7,107 vibrant and colourful islands, all pulsating with life and teeming with flavour. Yet, it is in Manila where you can hear its heart beating the loudest! 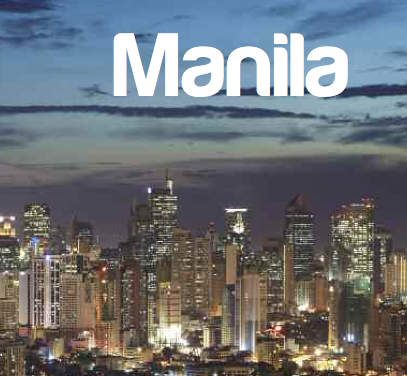 Manila is a sophisticated capital – the seat of power, centre of trade and industry, commerce, education, entertainment and the arts. It is an invigorating blend of some of the country’s oldest and richest heritage treasures, and the most modern metropolitan features of the Philippine landscape. Its people have acquired an urban cosmopolitan air about them, but have managed to retain their warm and friendly smiles that have made Filipino hospitality renowned throughout the world. 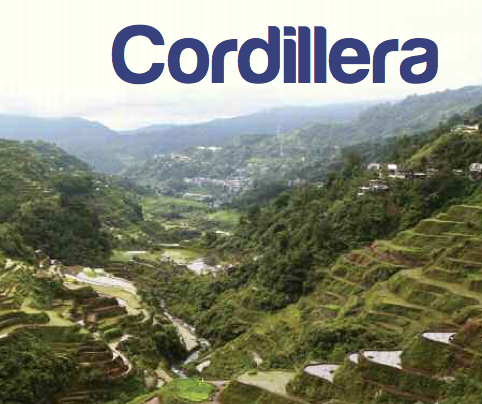 Cordillera Administrative Region is the only land-locked region, consisting of the six provinces of Abra, Benguet, Ifugao, Kalinga, Mountain Province and Apayao with Baguio City serving as the region’s capital. 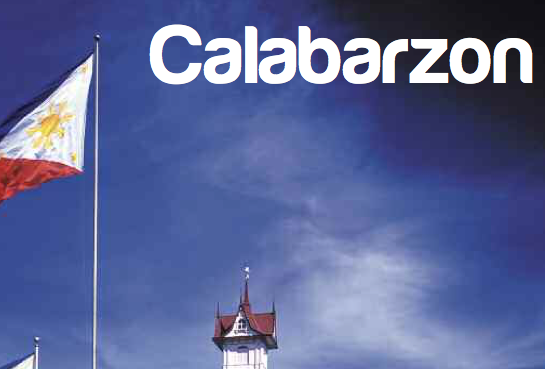 Calabarzon is an acronym for the provinces comprising the region – CAvite, LAguna, BAtangas, Rizal and QueZON. It is situated immediately south and east of Metro Manila, and is the complementary hideaway for anyone looking to escape the hustle and bustle of the capital. 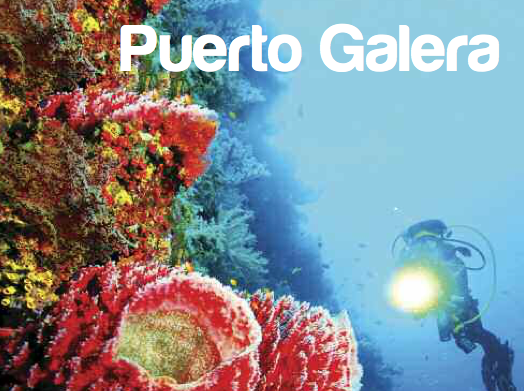 Literally meaning “Port of Galleons,” Puerto Galera has been popular among seafarers ever since the prosperous years of the Spanish galleon trade. Considered to be one of the most beautiful and safest harbours in the world, Puerto Galera was regularly visited by merchant vessels sailing along the important trade routes of Southeast Asia. Today, things have changed a bit – the port still retains its popularity, but with a different breed of explorers: scuba divers, photographers and naturalists coming from all over the globe. 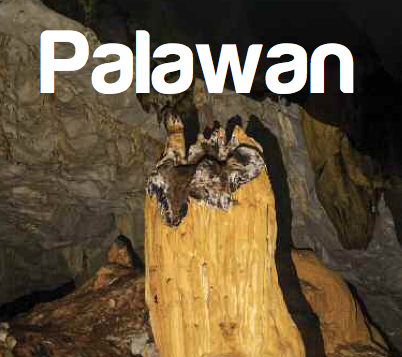 The island province of Palawan has much to offer to those who want to get to the heart and soul of the Philippines. The more adventurous traveller can visit one of Palawan’s indigenous people, the Batak, whose settlements are on the slope of Cleopatra’s Needle. The Tabon and Palawan Museums with their displays of prehistoric artifacts from the Tabon caves and items from the Spanish era bring the areas’ local history to life and are well worth exploring. There is an amazing variety of architecture from the famous Lighthouses at Poblacion and Brooke’s Point, to the Fort at Cagayancillo and Culion Cathedral. For a more lively experience of Palawan culture, there are numerous colourful and exciting festivals held throughout the year featuring parades, processions, religious ceremonies and dance displays. 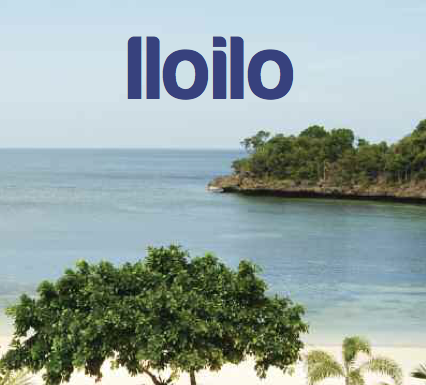 With its rich history that dates back from pre-Spanish times and its heritage where the east and the west meet, Iloilo is definitely a province that is worth exploring. Not only does it offer its colourful history and culture to travellers, but also its treasure chest full of natural wonders such as pristine beaches, unspoilt forests, thunderous waterfalls and mysterious caves. Add the warm and cheerful disposition of the Ilonggos and you’ve got one perfect holiday experience. 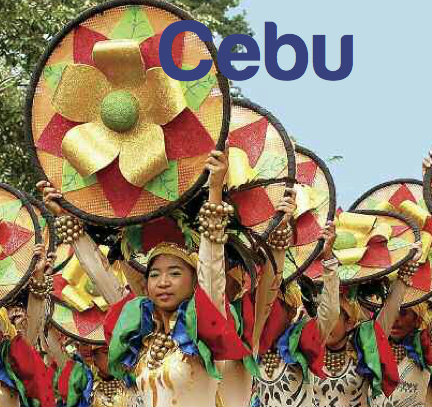 Cebu lies in the heart of the Philippine archipelago and serves as the ideal gateway for tourists to more than 7,100 fascinating islands of the country. 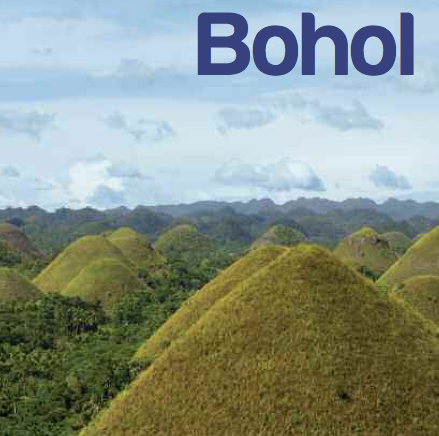 Scenic Bohol casts a spell on visitors drawn to this – oval-shaped island – from the Chocolate Hills to the Tarsier, from 16th century watchtowers to Baroque Jesuit mission churches, from the Loboc River to Tagbilaran City itself. 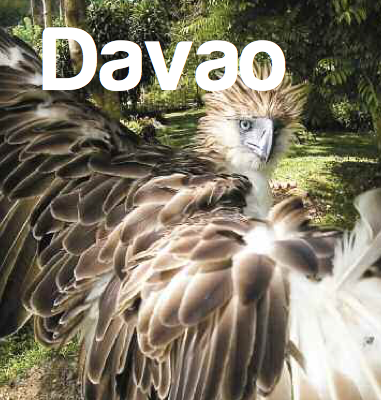 Davao City is a modern metropolis bursting with life, verve and colour. It is located in a land area of 244,000 hectares, which places it among the world’s largest cities. Teeming with a vibrant populace, the city is a bustling hub of commerce, education, tourism and arts.